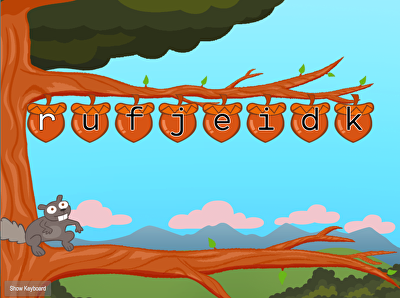 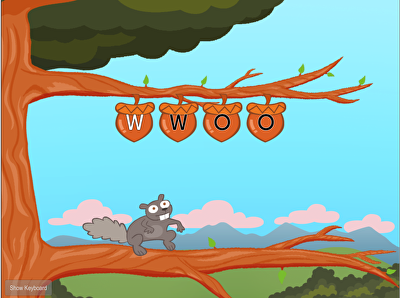 Fill Birdee's cart with gems as you practice touch typing top-row letters E and I. 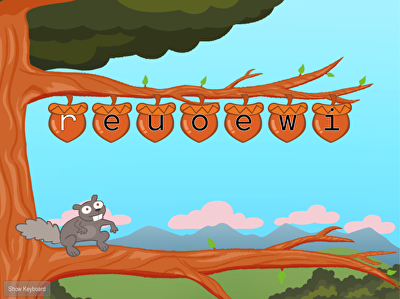 Type R, U, E, I, W, and O to feed hungry squirrel, and get valuable touch typing practice. 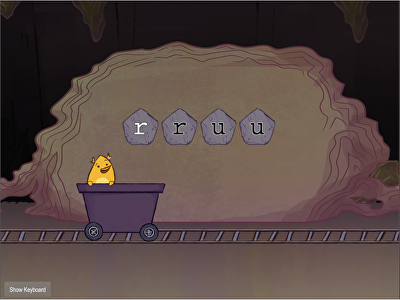 Practice typing the first four letters of the top row of the keyboard — R, U, E, and I — together and in random patterns. Start combining the first keys you learned in the top row with those you learned practicing typing in the homerow. Your typing skills fly in this top row touch typing game as you practice keys W and O.